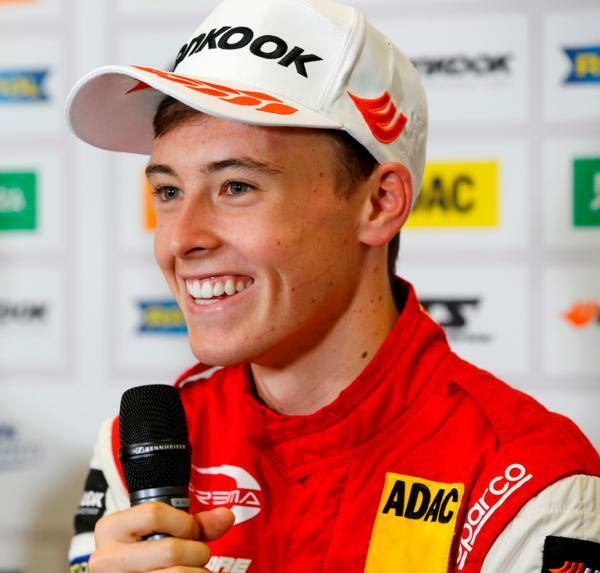 After a very successful karting career, Armstrong graduated to single seaters in 2014, becoming one of the most interesting prospects in international motor racing. At the end of 2016, he joined the Ferrari Driver Academy, moving to Prema's Formula 4 operation for 2017. In the same year, he won the Italian F4 championship and was the runner-up in the German series. "It is great to line-up with Marcus for another season. He has huge talent and has been a championship contender in every single series he took part in so far. We know we can aim at some outstanding results together and we want to carry our winning legacy into the new era of Formula 3. I want to thank Marcus and the Ferrari Driver Academy for their renewed trust. Our partnership achieved amazing results, but we won’t back down and we are hungry for more!" "This is an exciting step in my career, and this series is definitely the place to be for a young driver in terms of development and learning. Competition will be incredibly tight and everybody is looking forward to the new adventure. The car is obviously quite different to the Formula 3 we raced this year, not only the car itself but the engine and tyres. I have the right people around me to get on top of these details quickly though. Together we shared a lot of success in recent years, winning the 2017 Italian Formula 4 Championship and fighting for the German series title. We had a great 2018 too but I feel there is unfinished business and I’m very excited to get going. The new FIA F3 is new for everyone, including us, but I feel confident in our team that we can hit the ground running in 2019."